"GMA" explores a new nonprofit financial-literacy curriculum for schools. 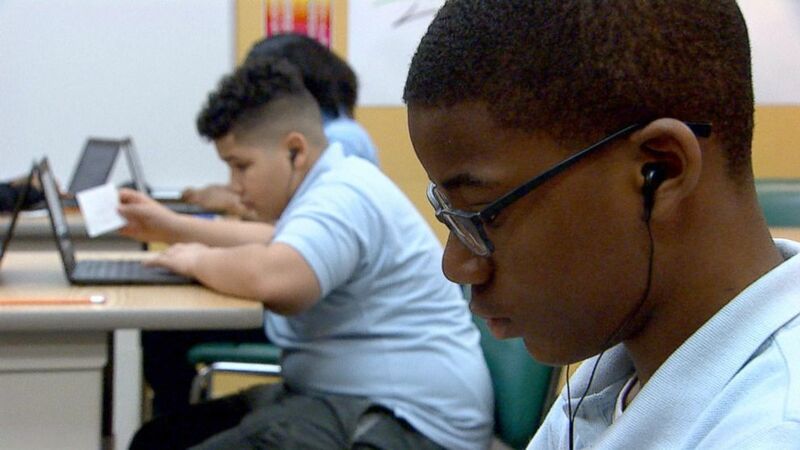 In a classroom that features larger-than-life murals of a bull and a bear -- traditional symbols of the stock market -- a group of middle-schoolers were learning lessons in financial literacy that hopefully produces lifelong results more bullish than bearish. "Who can tell me what a healthy skeptic is?" asked Sarah Coppola, a teacher at the Ariel Community Academy in Chicago. 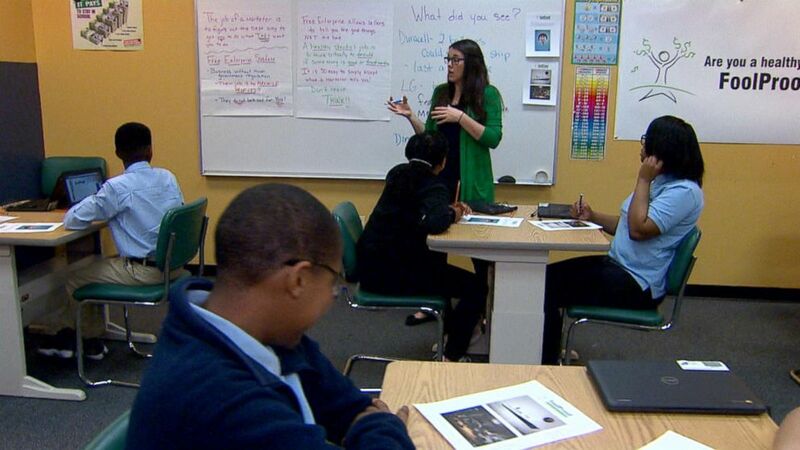 (ABC News) Students at the Arial Community Academy in Chicago, Illinois, are getting financial literacy lessons with the non-profit curriculum creator Foolproof. Healthy skepticism is the core message behind Foolproof, a non-profit curriculum creator that challenges students to question marketers and do their own research before making financial decisions. Foolproof's financial-literacy program is currently being taught in more than 5,000 high schools across the country, and it's now expanding its reach to children aged 12 to 15. The impetus was prompted by feedback from researchers and high school teachers, said Drew Guthrie, Foolproof's chief operating officer. "Kids are being influenced by marketers at younger and younger ages -- we're working our way back toward the next logical step from high school," Guthrie said. "Middle school is when kids figure out who they are and their individual personality traits take hold." Dr. Lennette Coleman, principal at Ariel Community Academy, believes it's never too early to start teaching kids about their finances. "If a child is old enough to sit in front of a TV screen and see a commercial, then they're old enough," Coleman said. "Our children are more sophisticated than we know." Coleman appreciates how Foolproof helps children develop critical thinking skills. "They learn to think about their answers, and to have an opinion based on what they feel and experience, so their voice becomes stronger," she said. 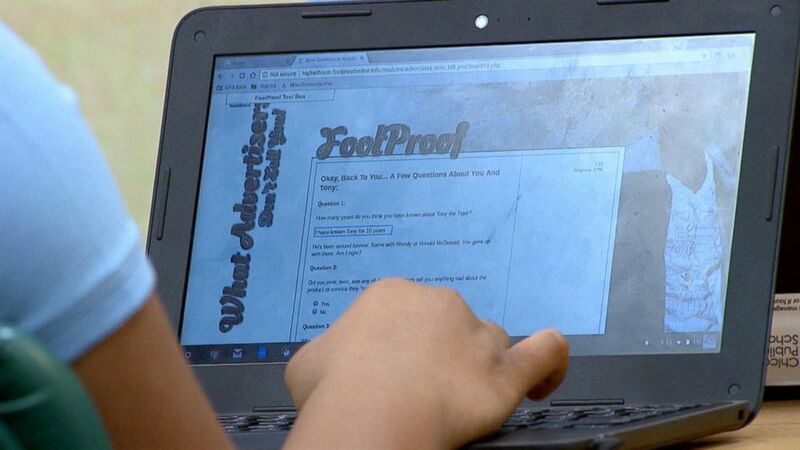 Foolproof combines classroom lessons guided by a teacher along with online videos featuring peers. Students work at their own pace as they navigate their way through the different modules, each of which focuses on a specific topic such as advertising -- and how advertisers don't always give consumers the whole picture. "Famous people say they love our shoes, but we pay them to say that," says the young teen in the video, who tosses the shoes aside and adds: "You can buy better shoes for less." Another lesson warns about debt by comparing debt to weights and painting a visual of how debt can be heavy to carry. The teen in this video tells viewers credit cards should be called "debt cards." "They load you with weight they want you to carry forever," the teen says in the video. Ever consider moving to the Green Mountain State? This could be your chance. With Americans struggling to pay off more than a trillion dollars in credit card debt, Foolproof's message is on the money, according to Washington Post Syndicated Personal Finance Columnist, Michelle Singletary. "If it means that someone young will wait till they're 30 to get a credit card, I'm OK with that," Singletary said. "If we want to scare them to death, I'm all for it. The more scared they are, the more skeptical they'll be and that’s going to work in their benefit." Learning to be skeptical about advertising helps curb impulse buying, and that's impacting families' bottom lines. "I spend my money wisely on the thing I need instead of the things I want," said David Shields, 13. Anthony Hightower also is noticing a difference in his son's attitude, and how that's helped them save money. "It's impacting my pocket a little because he has that delayed gratification now," said Hightower, whose 12-year-old son, Michael, struggled to understand why he couldn't be rewarded for good behavior with material things that kids his age typically yearn for. "Now he's able to put it in a place where there's a way to get it without negatively impacting some of the things that are more needs than wants." Learning the difference between needs and wants has served Shawn Roe well. The 29-year-old was among the first wave of high school students who took the course 12 years ago and today is the owner of 50 acres of land and shares ownership of a lakefront three-bedroom, three-bathroom home in upstate New York, a dream come true for the outdoorsman. "Through the program, you learn to be skeptical and not impulse buy -- you tend to waste money when you impulse buy," he said. Some of his colleagues at work so impressed with Roe's money management they’ve asked him to set up budgets for them. -- They can't have everything, so give them choices. -- Do you want every big company to see all your pictures all your texts? More information is available at Foolproofme.com.